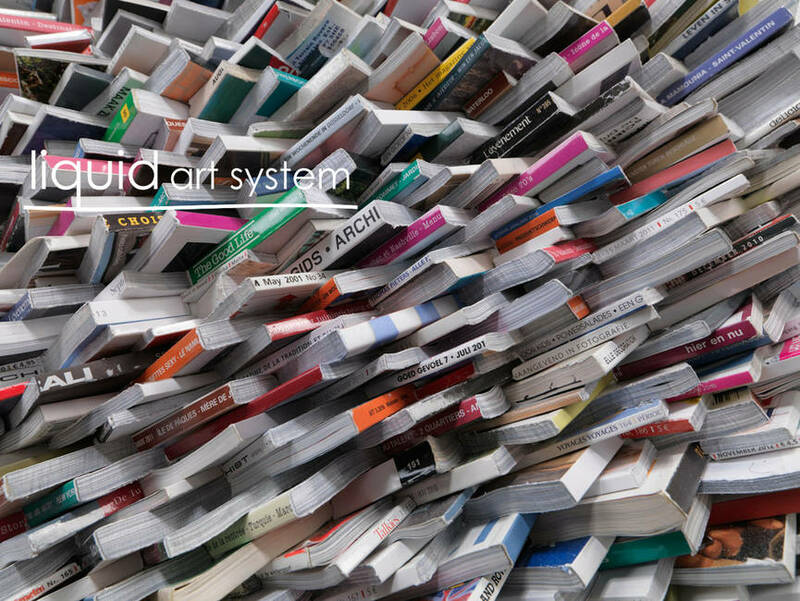 Liquid art system is proud to announce the upcoming exhibition by Guy Leclef in Anacapri. 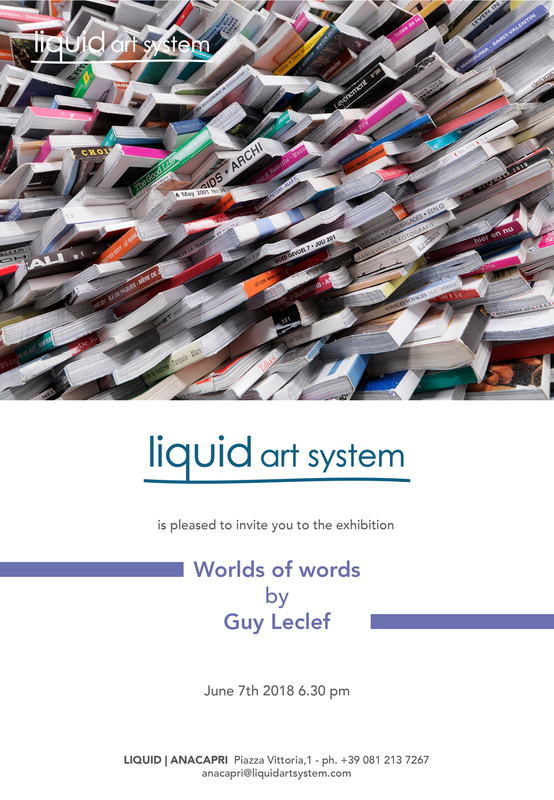 On the 7th of June 2018 at Liquid art system Anacapri the artist Guy Leclef will be present at his solo exhibition with his latest artworks, “Worlds of Words”. 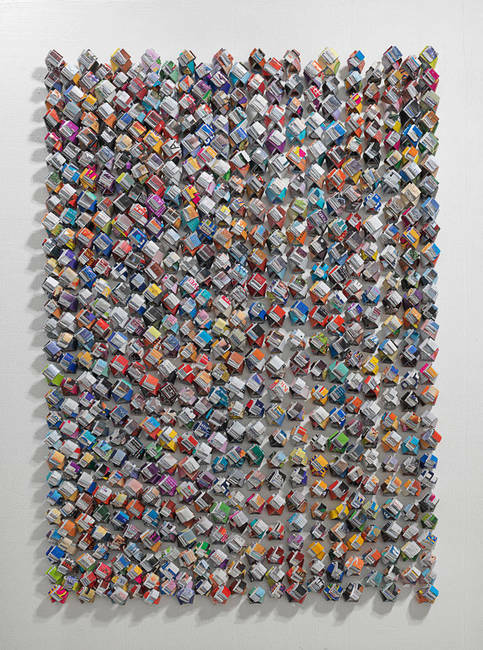 The artistic research and the style of Guy Leclef is above all based on the material: paper is the distinctive charateristic of his works. 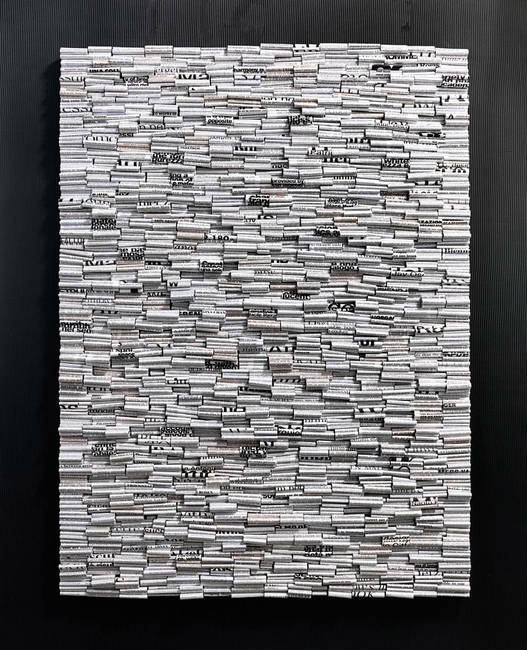 It is, to the artist, the most powerful among all the materials: paper helps the artist to transmute feelings into beauty. Each artwork is the result of intense work, that starts from the choice of the pieces of paper till gluing, coloring and assembling them. 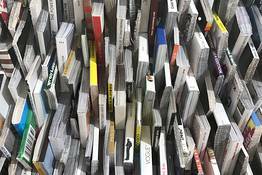 Newspapers, magazines and every single piece of paper suggest information and details we need to see, understand and front up with. It is not just about what we see in appearance, but what we understand after we decide to learn from it. 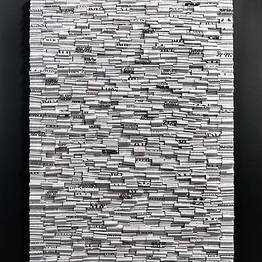 Words are worlds that we need to discover behind his artworks. 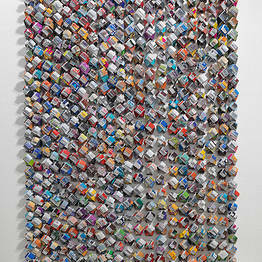 At first sight, his artworks seem like geographic maps of nowhere: icons, photographs, everyday life news. But the role of the viewer is to give the artworks the chance to carrie him away someplace where those words have a meaning. Words are our thoughts become real and concrete. 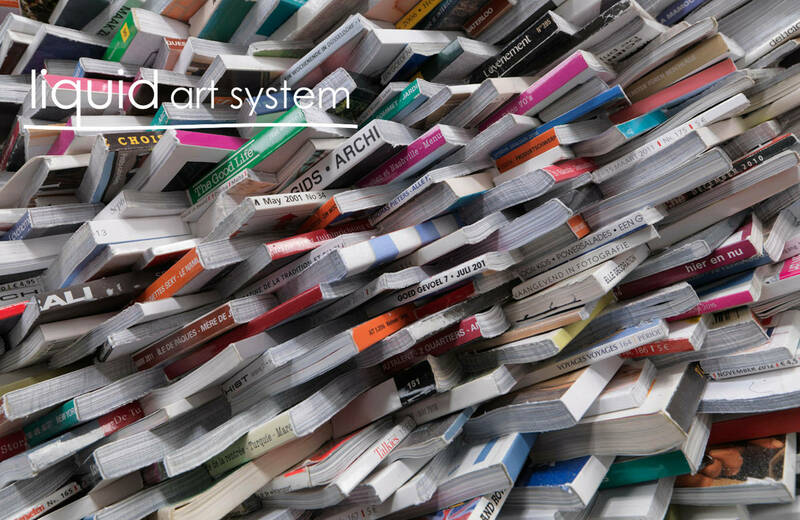 Each person can focus on a different text or image part.The artworks are global and intimate at the same time and as they depend from a single point of view, paper's artworks will never be the same. They will stay original and powerful.